When you’re invested in making sure your boat stay in great working order for years to come, you need knowledge and skill you can count on. 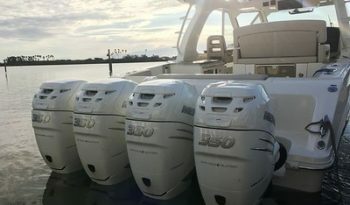 Our trained technicians are dedicated to maintaining and servicing your Boston Whaler, SeaRay, Cobia, Wellcraft and many other brands of outboard or inboard powered boats so you can get the most out of your purchase. Here at Paradise Boat Sales we are boating enthusiasts, and we understand that your priority is getting out on the water. 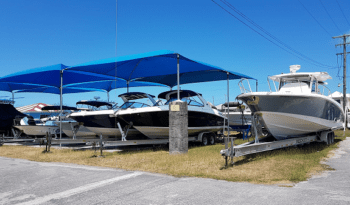 We have the equipment and experience to get your boat in prime shape, whether your goal is fishing, cruising, or tow sports. Give us a call and we’ll get you in and out of the shop in an efficient and timely manner, so you can get back to the water activities that you enjoy. Paradise Boat Sales is proud to provide quality service to the Antigua and nearby islands areas. We can help you keep your boat in pristine condition! If you have any questions or concerns about your boat, feel free to call us at (268) 562-7125 and we’ll be happy to help you over the phone or assist you in making an appointment. Come talk to us about how to best maintain your investment and learn more about our available services!